Boho is short for bohemian, and typifies a style of dress inspired by the lifestyle of free spirits and hippies of the 1960s and 1970s, and even the pre-Raphaelite women of the late 19th century. Boho style is characterized by long flowing or tiered skirts and dresses, peasant blouses, ethnic touches like tunics or wood jewelry, embroidery or embellishment with beading, fringed handbags, and jeweled or embellished flat sandals (or flat ankle boots). The look is often layered and colorful. Today, boho (and the bobo lifestyle that first became popular in 2000) influences are most often worked into a look with other trends as well, rather than wearing the trend from head-to-toe. The style hit an all-time high in 2005, and was exemplified by Sienna Miller, Kate Moss and Mary-Kate and Ashley Olsen. Currently, these women are still spotted in slightly boho looks, but in a modern mix with other influences like menswear, Americana and sleek minimalism. Though the apex of her bohemian style really arrived sometime between the years 2000 and 2006, actress Sienna Miller's boho-chic sensibilities and style choices still resonate. Since the look has its roots in the 1970s, you can be sure that this trend with circulate in and out of style year after year — and that you can get away with a touch of boho anytime. Embroidered jackets, wide-brim hats and slouchy sundresses always work in the summer and fall, and Sienna is cited as an icon year after year. Along with Kate Moss, she caused high street labels like Zara and Topshop to produce items that resembled those the women had recently worn at unprecedented rates. In more recent years, Mary-Kate Olsen and Sienna Miller have both adopted fresh influences into their personal style lexicon, but their innate gravitation towards loose silhouettes, embroidery and long dresses is still a part of their go-to wardrobes. The boho vibe lives on. Take note — these looks are also a great example of how boho style can be dressy, not just a casual look for music festivals. With beading, silk and fur accents, boho-chic looks become dressy options for evening events and parties. To pull this look off at your next wedding or even a class reunion, remember to keep it modern and elegant with simple shoes and clean, pretty hair. A low bun and a cat eye makeup look will give your bohemian-inspired look a more current feel. As far as modern boho style icons, it doesn't get much better than Florence Welch. The lead singer of Florence + The Machine favors wide-leg pants, ethereal gowns and even milkmaid braids — all of which give her a fresh bohemian look all her own. Whether on stage or at an awards show, she showcases her long, wavy red hair and romantic sense of style. To channel her look, rock a wide brim hat with an embroidered coat, try midi-length dresses with Western-style belts, and master those effortlessly lovely (but actually rather hard to achieve) beach waves. While the boho-chic craze has died down significantly since the early 2000s, the advent of highly personal style means that influences of all kinds and multiple trends can all be worn together. 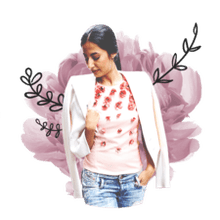 No matter your age, if you gravitate towards loose silhouettes, beading or peasant-style blouses, there's a way to work them into your current wardrobe. Try a wide brim hat or a faux fur vest over your favorite skinny jeans. Layer some gold chains over your cashmere sweater. Beaded jackets look especially cool over mini skirts or little white dresses... You get the idea. Take an element that you love from the boho trend and adapt it in your own way. What is a ball gown? Learn the History and See Examples.